Garden in Bloom is one of my favorite sets from the new annual catalog from Stampin' Up! 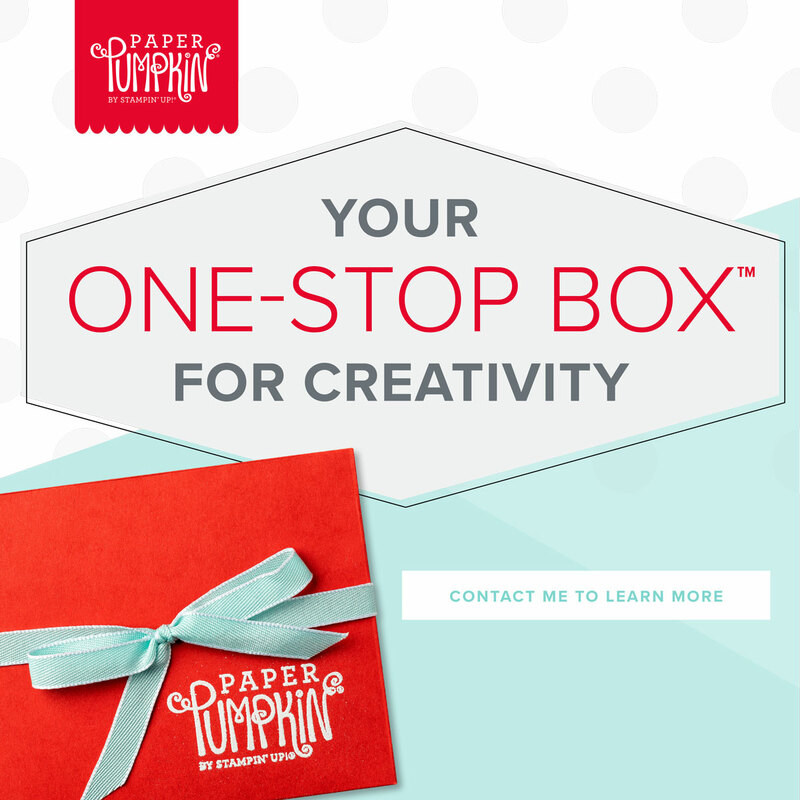 This card came together very quickly! 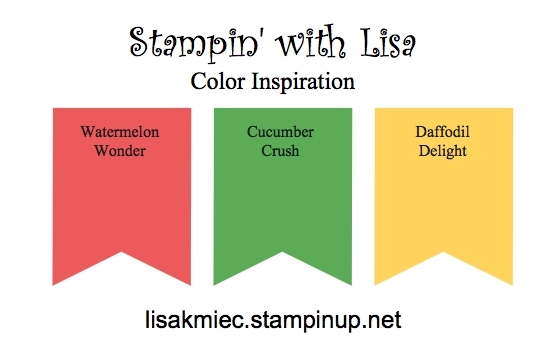 I just randomly stamped the large flower, leaves and bees in various colors. The then used the outline stamp for each element and stamped it in black. 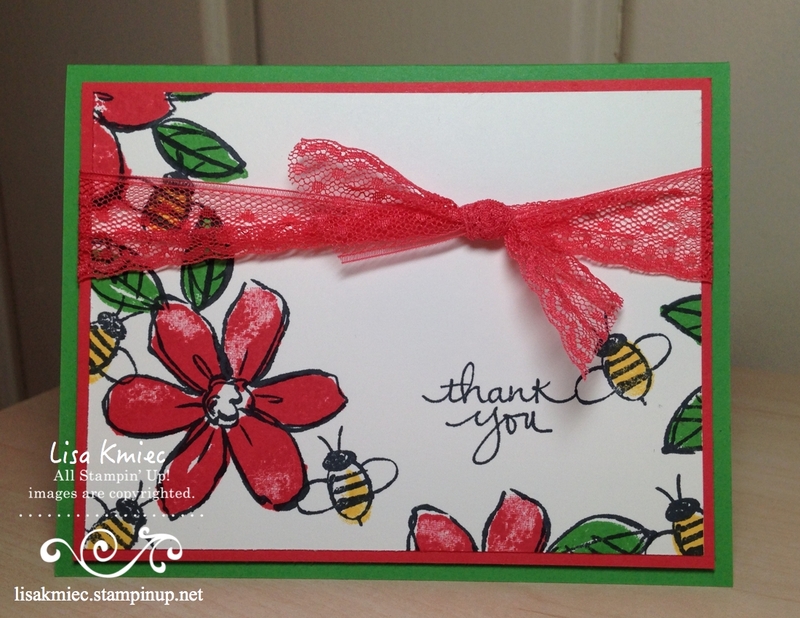 I finished the card off with the Watermelon Wonder Dotted Lace Trim. I love that trim! 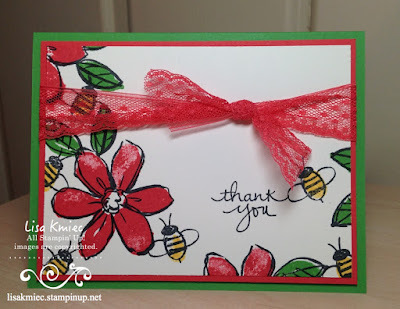 The sentiment is from the Endless Thanks stamp set. 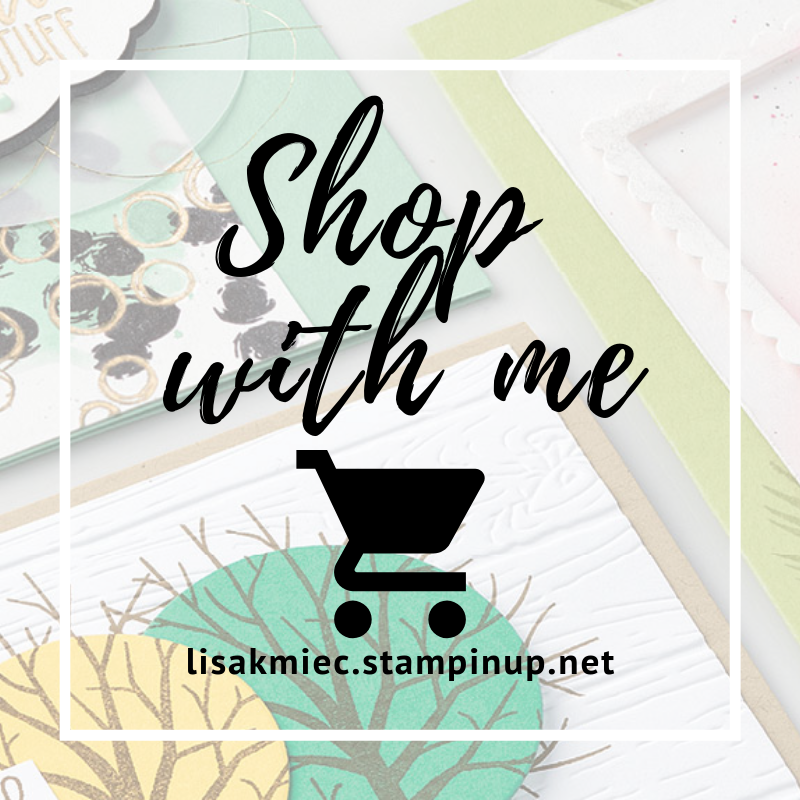 I also used Stampin' Up! 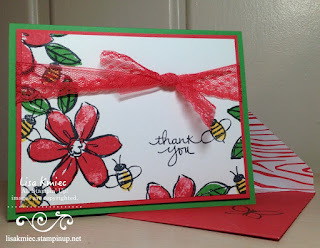 's new Envelope Paper and the Envelope Punch board to make a matching envelope for my card and stamped the butterfly image from the Garden in Bloom stamp set in the corner.